There’s something a bit mystical, a bit magical about fermented foods. Of all the aspects of the traditional foods movement that I love – healthy fats, good meat, fresh cream and bone broth – I’ve fallen hardest for fermentation which is why I teach classes on fermentation and focus so many of my energies on this simple, fresh art. There is, indeed, a bit of otherworldly magic to the transformative process undertaken by thousands (millions? billions? gazillions?) of tiny microbial minions who eat away at a foods sugars and produce a food or drink that is positively resilient with nourishment and complex, unmasked flavor. It’s a lovely process. Yesterday, as I put up a quart of pickled garlic scapes and a half gallon of white kimchi (that recipe is yet to come, but you can check out my recipe for traditional hot kimchi), I thumbed through my friend Alex Lewin’s newest book: Real Food Fermentation. Real Food Fermentation is a fermenter’s manifesto of sorts – one that truly celebrates real food as it not only covers the basics behind fermentation, but also addresses the why: why eat real food, why avoid GMOs, why we need microbes and enzymes from fermented foods. From here, Real Food Fermentation delves into simple questions on equipment, technique and tools venturing beyond the recipes in the book – coupling the science of fermentation with the art. Real Food Fermentation also provides simple, but beautifully photographed, recipes for fermented foods: sauerkraut, pickles and cultured vegetables, yogurts and kefir, simple meat and fish ferments and fermented fruits and chutneys. In this way, it’s a beautiful companion to Get Cultured! – the online fermentation workshops hosted here at Nourished Kitchen. The past two years has seen an exponential rise of interest in fermented foods and a handful of books have been published to meet this growing interest (and I’ve read each of them), but Real Food Fermentation is, in many ways, different – simpler, more practical and with information that can appeal to fermentation enthusiasts who are new or who are long-time fermenters like my family. Perhaps the most helpful aspect of the book is the detailed, step-by-step photographs which guide the reader through each step of the fermentation process – so you know you’re doing it right, properly, and safely. Real Food Fermentation was just released today! Right now you can order it through Amazon on sale for $15.83 – saving about $9 off the retail price of $24.99. Also, check your local independent book store. Is it possible to get this in ebook form, easier for me to buy to avoid all the extra shipping charges and thanks. Could you offer? Are Water kefirs and kombucha in the book? It appears to be delightful! Alex has a big section on kombucha, and a small section on water kefir. I would have considered purchasing the book but with the masons jars on the front cover, it tells me that the method being used to ferment is all wrong. So, said that so many people believe that mason jars are a good method of fermentation the truth is you can end up with liver damage. I’d love some widely credible information to substantiate this, if it is true and indeed a significant risk as there are many experienced people who advocate the mason jar method. Alcohol causes liver damage. How does a glass jar? You are listening to inaccurate (but deeply compelling) information. 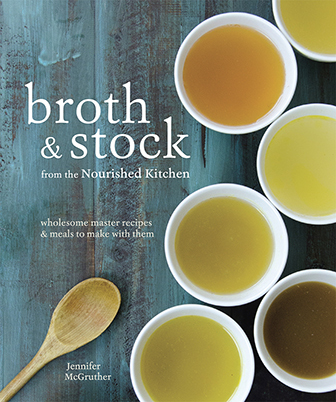 Maybe this book is geared for those of us who cannot afford $60-$100 food crocks to make life-sustaining fermented foods for our family. Oh goodness, yes! I don’t know how many times I’ve said: but you absolutely DON’T need to buy special equipment to ferment properly. It does help, but it’s far from a necessity. Gi, I don’t think there’s a need to worry about liver damage from Mason jars when used for fermentation purposes. Where did you get this information? I’m curious. Most of the problems that I’ve read regarding Mason jars stem from the fact that they don’t always create a perfect seal which allows some air to enter the jar. Fermentation requires an anaerobic environment. The worst that could happen is that you end up having to scrape off some mold. I’ve never had mold form, perhaps because I make sure that the contents are well covered by brine. Anyway, my impression has been that the main concern with Mason jars is actually with the metal lid that contains BPA. Having said that, I’d like to know where you’ve heard about the relationship between Mason jars and liver damage. Would be *very* curious to hear specifics about your concern over liver damage from Mason jars. Is it the BPA in the lids you’re worried about? I don’t think that’s a big issue, since the lids are not in contact with the food (assuming you leave an inch of space above your food), and you aren’t heating it. If you really don’t like the idea of using mason jars, you can use a Pickl-It or a Le Parfait. These have rubber (or silicone?) gaskets that are likely to be even less reactive than the mason jar lids. You can also put a whole cabbage leaf over the top of everything, and discard the leaf before you eat the ferment. I’m a bit late to this thread but, in regards to BPA in Mason jar lids…Ball brand lids are now BPA free and have been for a least 1 year. Also, standing with traditional canning, I never re-use a lid, even if it hasn’t been subjected to heat. I’d rather be safe than sorry, especially after all that work to put it up. Ball also makes plastic lids for non-heated canning/fermenting. These are also BPA free and completely re-usable. It will be available in ebook format at some point. I’m not actually sure when–they haven’t given me a date! To be honest, they might want to wait until the initial sales spike falls off a bit. Although I’m pretty sure they make more money on ebooks than on physical books–ebooks are pure profit. Can you tell me more about the book before purchasing. What is he fermenting with?…whey…etc.? Do you need special crocks for his recipes? Is this similar to Sally Fallon’s method of fermenting? I trust your opinion Jenny. I just need the very best, smartest way to have probiotics in my family’s tummy. Thank you so much for your help. Just didn’t want to make a bad purchase. The book covers both wild fermentation and starter fermentation, he uses both the Pickl-it and mason jars and takes a well-rounded approach. He offers options for starters (which are mostly optional anyway and he explains how/why) including whey, purchased starter and sauerkraut juice etc. It’s a good book – especially for beginners. Amazon has a pretty good return policy if you find it doesn’t work for you. I have been interested in learning more about fermentation and this sounds like a good book to start with, however, I have just learned through an elimination diet that I am allergic to anything and everything related to dairy. I have noticed that whey is used often as well as starter cultures containing lactic acid. Can you ferment and avoid all types of dairy? You absolutely DON’T need whey or dairy products for fermenting; further, most fermented foods don’t even required a starter. Does this new book om fermentation have recipes and/or suggestions to ferment dairy free. lots of other books use whey for most fermentation and I need dairy free. Thank you for your time and comments. Please see the note above. Hi Jenny. i truly enjoy reading your blog. It is pretty, informational and easy to read. Thank you and thank you for telling us about “Real Food Fermentation”. 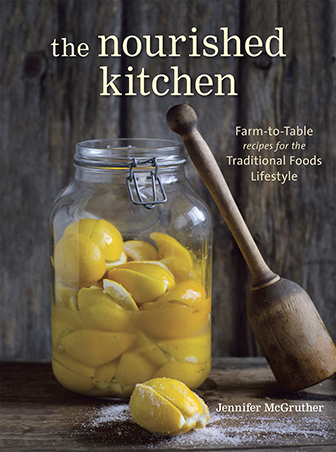 I’m wondering if the book also gives ideas on how to serve the fermented food in other recipes for example? I was looking at the book “The Preservation Kitchen” by Chef, Paul Virant ( from my neck of the woods, the Chicago-land area!) and was wondering if you were familiar with the book too? Have you ever made black garlic at home? I was interested in trying black garlic and wanted to know your thoughts on it. Does anyone have a ipad and downloaded the kindle version (with app)? If so, did it work? I really want to get this for my ipad but have never downloaded kindle onto it. I already have the kindle app.